Britannia had a crew of 220 non-commissioned officers and enlisted personnel. (When the Royal Family was aboard, she also carried a platoon of Royal Marines). Each crew member was picked by the commanding officer. 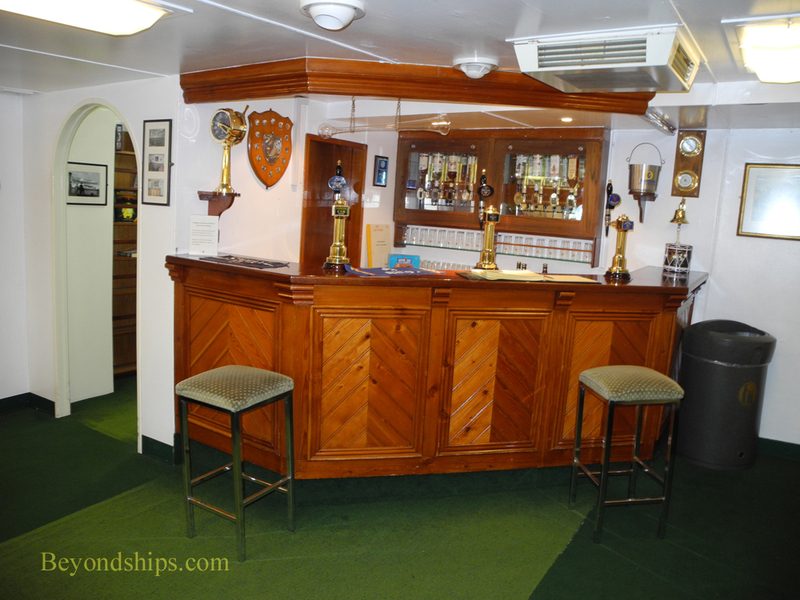 About half did two year tours of duty while the others were permanently assigned to Britannia. The crew endeavored to meet the highest standards in all tasks. In addition, they sought to do so while being as unobtrusive as possible. Orders were often given by hand signal and soft-soled shoes were worn to avoid making noise that might disturb the Royal Family and/or visiting dignitaries. There was also a hierarchy among the enlisted personnel. 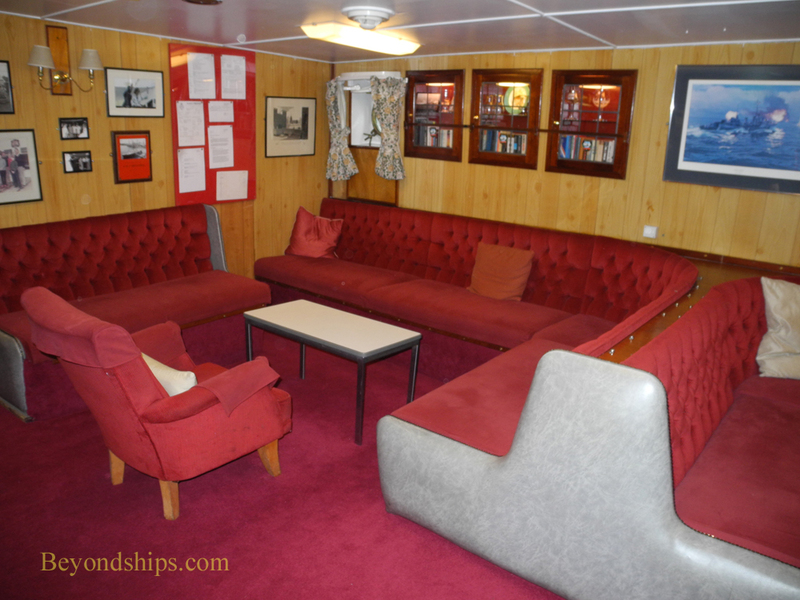 It consisted of three classes, each of which had its own recreational/dining area called a "mess". At the top were the pyramid were the warrant officers and chief petty officers. Their mess resembles an upscale pub or club bar. 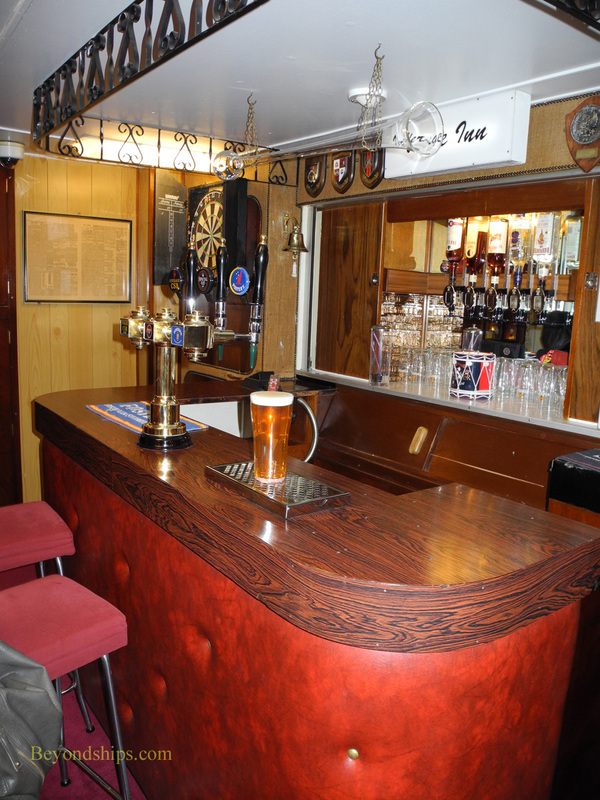 Just as on land each bar has its own ambiance, this pub-like room was known for its convivial atmosphere. Junior ratings from all departments could relax together in their own mess known as the "Unwinding Room". The sleeping quarters also reflect the hierarchy. 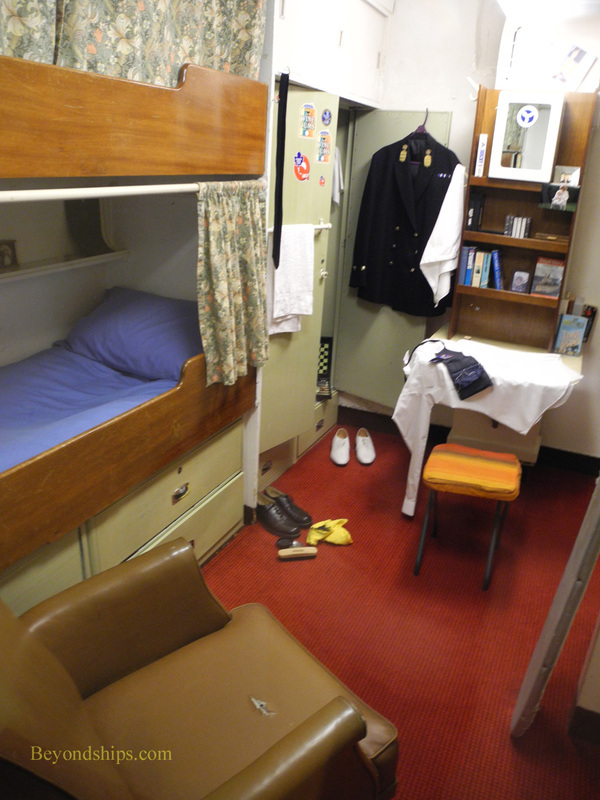 However, even for NCOs, the accommodations could not be described as spacious. 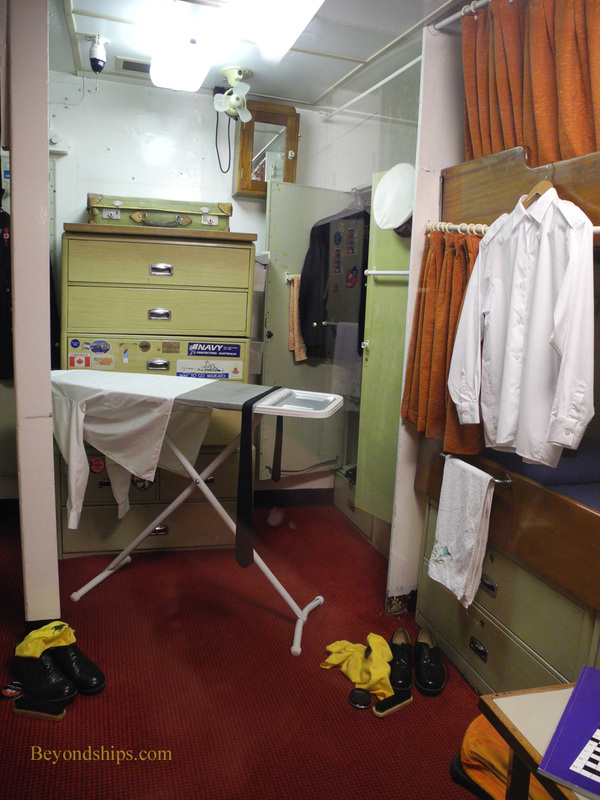 Until 1973, ratings on Britannia slept in hammocks. The yacht was the last ship in the Royal Navy to abandon such arrangements.